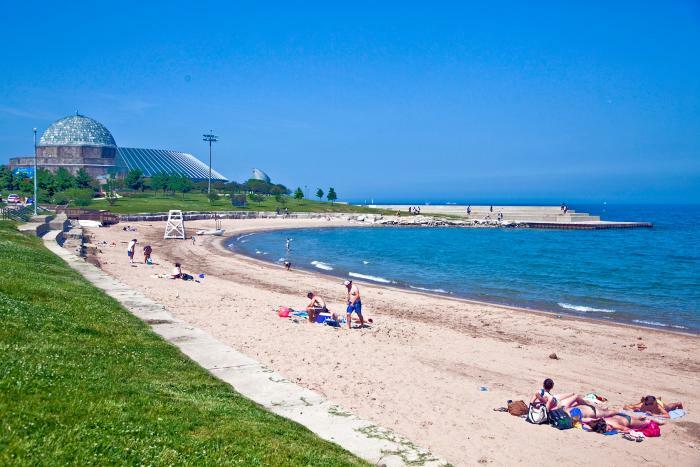 A guide to the best beaches in Chicago. 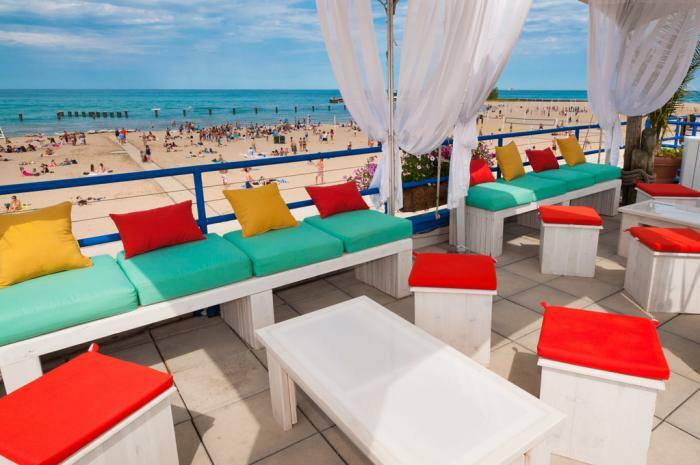 A people-watching haven, North Avenue Beach in Lincoln Park offers more than 50 volleyball courts, kayaking, jet ski rentals, and a mini fitness center. 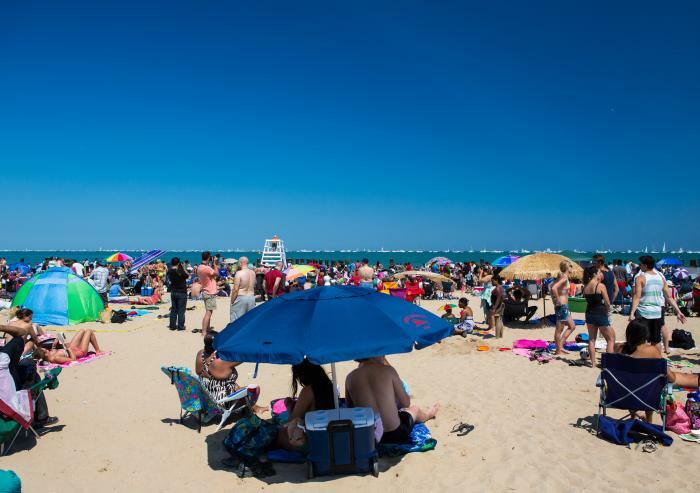 One of the most popular Chicago beaches, it fills up quickly during holidays and special events, like the Chicago Air & Water Shows. 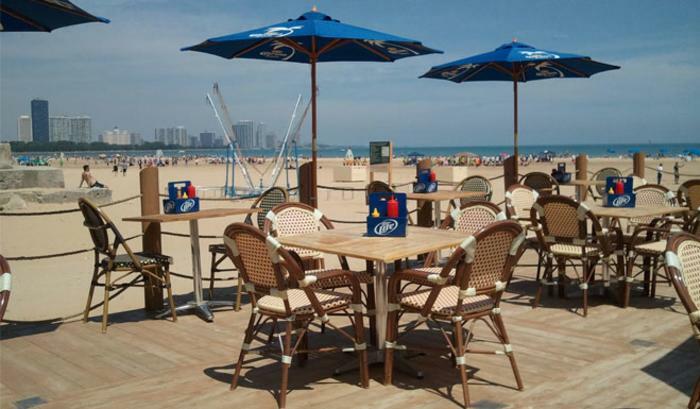 Nestled right on the sand, Castaways&apos; mouth-watering burgers, ice-cold libations and rooftop seating cater to hungry sun-soakers. Or head to the Shore Club for craft cocktails in a super chic space. Montrose Beach in the Uptown neighborhood is popular with swimmers and kayakers, and even has a fenced-in dog area. Just south of the beach, Montrose Point Bird Sanctuary is a wonderful place to spot waterfowl, migratory birds and other winged beauties. The Dock at Montrose Beach is a popular spot to grab a bite while enjoying views of the water. 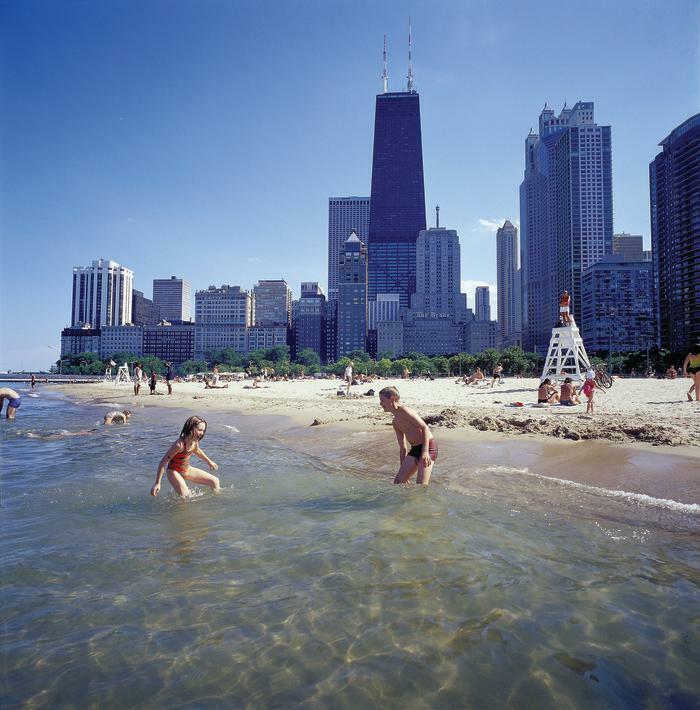 Fabulous views of the city and close proximity to Michigan Avenue make Oak Street Beach a beloved hangout for visitors and locals alike. Ramble along the scenic path, arrange a game of beach volleyball or simply lounge on the sand. 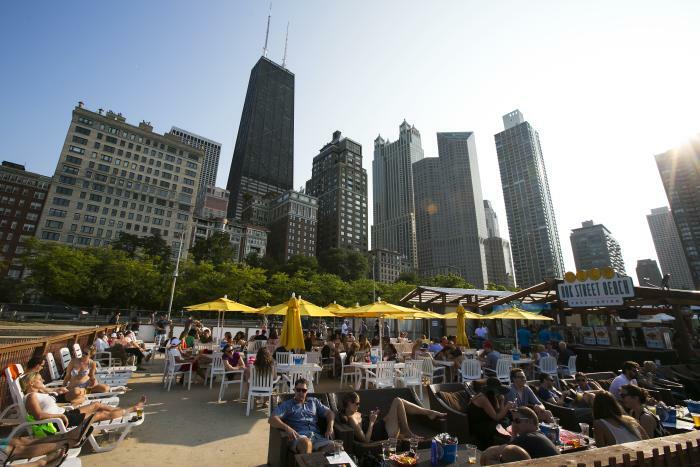 To fuel up, grab a waterfront table at Oak Street Beach Food + Drink or make the short stroll to The Magnificent Mile to choose from loads of amazing restaurants. The absence of the metropolis&apos; skyline enhances the peaceful atmosphere at Loyola Beach, where shallow waters and a playground make it a family favorite. Nearby, the Glenwood Avenue Arts District in the Rogers Park neighborhood offers vibrant murals, music venues, theaters, art galleries and a mix of shops and restaurants. Stop for Korean-inspired burgers at nearby bopNgrill. From 12th Street Beach, watch kayaks and fishing boats bob up and down in Lake Michigan&apos;s royal-blue waters. 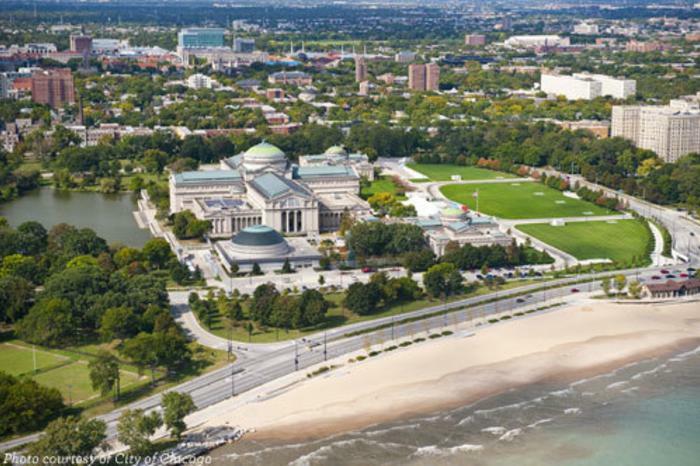 Less than a mile away, Museum Campus has plenty to explore, including Adler Planetarium, Shedd Aquarium and The Field Museum. Thinner crowds make 57th Street Beach an ideal spot for picnicking or building sandcastles. Tucked in the Hyde Park neighborhood, the beach also offers an area for deep swimming and is the perfect stop after exploring the Museum of Science and Industry across the street. Satisfy your growling stomach at one of the many eateries on 57th Street; Medici on 57th&apos;s made-from-scratch sandwiches, burgers and pizza have satisfied locals since 1962.